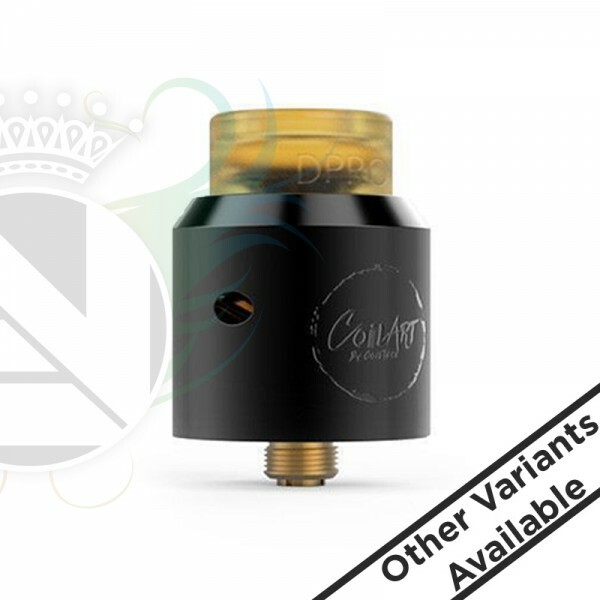 The DPRO is the latest RDA from Coilart. It features a unique gold plated postless deck, brand new airflow for flavorful vape and a Goon style Ultem drip tip. 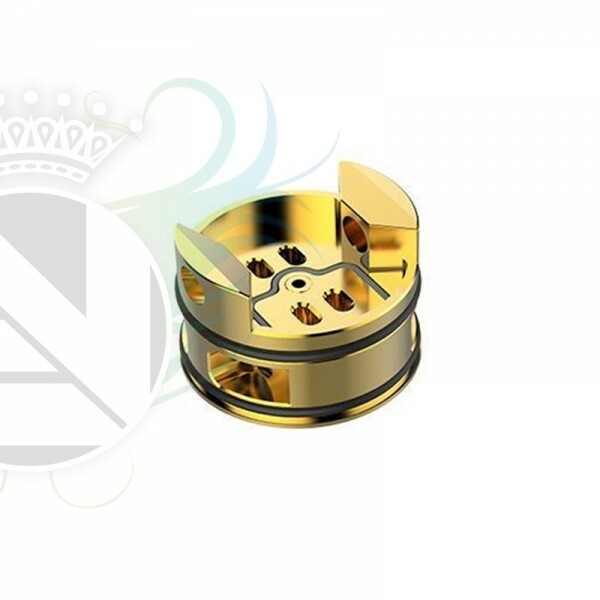 This stylish RDA measures 24mm x 36mm and is available in stainless steel, black or get the gold/Ultem colored one. Included with purchase you will receive a Goon type Ultem drip tip as well as a bottom feeding pin for use with your favorite squonk mod. External airflow on the DPRO RDA is said to be one of a kind and is located on the middle of the chuff cap as well as on the bottom. Bottom air is directed to four holes that are located directly underneath the installed coil that are said to create vapor with lots of flavor. The build deck is gold plated for maximum conduction and features PEEK insulation. The deck is postless and is compatible with single/double coil builds. Included with purchase, you will received two fused handmade Clapton coils (by CoilArt), cotton and a bag of accessories.